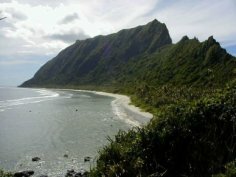 Thank you for visiting the manuatele.net travel page. Information about American Samoa, as well as other useful travel tips and ideas. "Did you know that a US passport can get you to an isolated South Pacific paradise without even leaving US territory? From the US mainland, American Samoa is a longer trek than Hawaii, but the distance rewards the visitor with some of the most stunning, untouched beauty of the Pacific and a national park that even the most ardent park system fans won't have checked off their list yet. ... The best time to visit is Flag Day, April 17, when there are activities galore. This may be US territory, but it's some of the purest Polynesia you'll find anywhere." Click here to read more on Lonely Planet. "The beach at Ofu stretches for just over 2 miles, but the sheer beauty of this curve of sand and the relative emptiness of its shores make it one of the best beaches in the world"
Click here to read more on Travel Channel website. "These beaches are quiet and secluded spots where you escape from the rigors of life any time of the year. Finding five undiscovered beaches in a world already filled with beaches, gives beach lovers more choices and the opportunity to walk on long unspoiled beaches filled with beauty and unending beach treasures." That quote is from Photos4travel Travel Guides creative director. "The first beach in this exclusive group sits halfway between New Zealand and Hawaii on the Manua Islands. The Manua Islands are part of American Samoa. 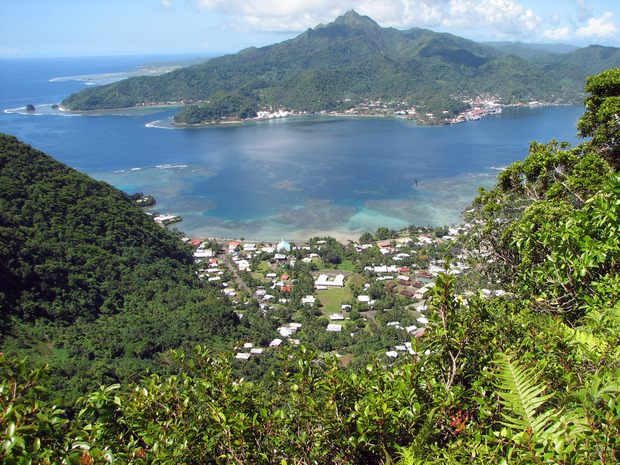 American Samoa is pretty remote, but the Manua Islands are even less traveled. Sitting on the west coast of the volcanic island of Ofu, is Ofu beach, which is part of Samoa's National Park. Ofu Beach is a two mile stretch of finely graded coral sand. Right behind the beach is an unspoiled area of nothing but lush greenery, jagged slopes and palm trees swaying in the ocean breeze. Photos4travel has named Ofu the best undiscovered beach in the world. Ofu Island is private, secluded and is not commercialized in any way." "These undiscovered beaches were picked by us because of their beauty, swim ability and their isolation factor, as well as the fact that even some of the locals don't know about them." Click here to view the story on the Photos4Travel website. Sources recommended by an expert whose research specialty is the travel attractions of American Samoa. when planning your next trip. Information and Disclaimer The South Pacific offers unique places for travelers. American Samoa is still behind many places in the South Pacific to take advantage of tourism, but it has many places to visit and things to do there that are just as memorable. The information I provide here is for your general use, and I have tried to make it as accurate as possible. However, it's likely that the information have changed. I don't take responsibility for any lost of money, time or inconvenience resulting from your use of this information. Please send me suggestions on ways to improve these pages. Thank you.